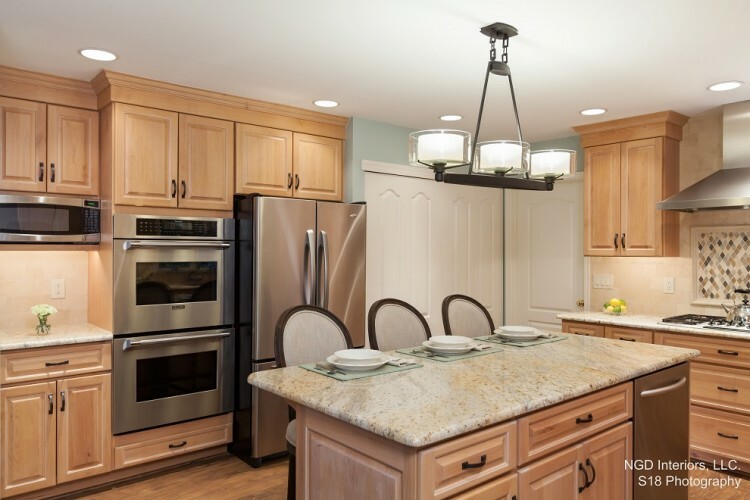 Home » Are There Too Many Cooks in Your Kitchen Project? I have been brought into many projects at different stages of the design/remodel process. Sometimes, I’m not the initial coordinator and I may just be one of the many stops along the way. This was always a challenge because I felt like many times clients would be disappointed when reality couldn’t live up to their dreams. I never liked being the person who had to tell them that their new kitchen design (that they created with someone else) will not fit that new large refrigerator they wanted. Or, telling them that the new cabinets they purchased somewhere else for “a deal” won’t adequately hold the weight of the stone countertops that they asked for me to find. Or, telling them that the farm sink that they had their heart set on is not only a special order with a 2 week lead time, but has to be on site for templating of the countertops (not enough time to complete the project for that special holiday gathering), not too mention they didn’t order the right sink cabinet. The list goes on and on, and unfortunately, this is what happens when a busy homeowner isn’t familiar with the pitfalls of interior design, or they do not work with one specific person to handle the project. This is why it pays to work with a designer. Designers fine tune clients’ ideas and dreams before anything is ordered, made, or templated. By showing my clients new, innovative products, trends, and electronics, they are able to discern what design possibilities are out there, and what they like. This avoids the “this isn’t how I thought it would turn out” or “I wish I had known about….” . It is all about the initial research, planning and coordination that leads to a smooth project. As a designer, I always manage the planning and logistics from start to finish, ensuring that that farm sink was not only ordered in time for your template, but it is going into the right cabinet. Interior Designers are there to guide you, not just the color of your cabinetry, but on the quality of the construction and functionality of your kitchen and living space designs. I personally make sure that your new cabinets will accommodate the appliances of your dreams, and not just settle for appliances that will fit and be “ok”. Your dreams will not be compromised by details that might be overlooked by the untrained eye. I make sure that their aren’t too many cooks in the kitchen, by being the central contact and leader for your extensive project. Contact NGD Interiors for more information with your next project.